Nepal is a land that can be enjoyed on many levels, from the grandeur of its high mountain peaks, rugged foothills and hidden valleys and its opportunities for adventure, to the richly distinctive architecture of its towns and villages, and the spirituality of its ancient culture. Its fame as the ultimate mountaineering destination means that everyone has an idea of what a visit to Nepal is likely to offer, but it is land that has the power to surprise on every day of your visit. You will find national parks, vibrant cities, simple villages and wonderful hospitality. Dominated by the peaks of the Himalayas which form the thrilling backdrop of your visit from the moment you arrive in Kathmandu, Nepal is a country that promises big and delivers even more. Nepal has been called the best sightseeing destination in the world. Its culture has been shaped by its two principal religions, Hinduism and Buddhism, although there are several other religions followed by a variety of different ethnic groups. This makes a visit to any town or village a colorful experience, with the many temples, stupas and monasteries that are characterized by wonderful decorations, paintings and sculptures depicting a host of Gods and Goddesses. Above all, Nepal is renowned as the birthplace of Buddha, the ‘Light of Asia’, which lends its people, whatever their ethnicity, the distinction of living in one of the most spiritually significant regions of the world. 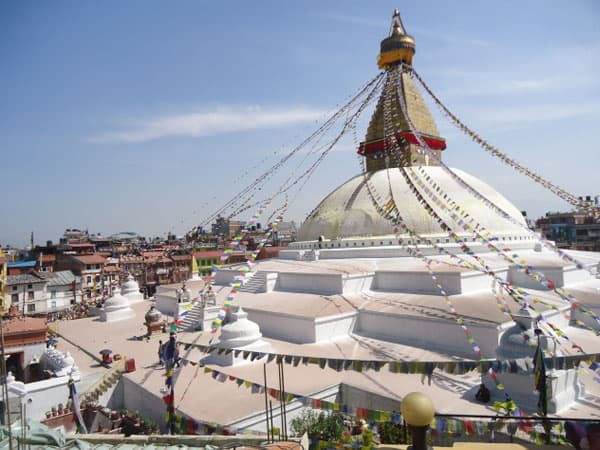 A sightseeing tour of the broad Kathmandu valley will immediately immerse you in the beauty of Nepal as well as its fascinating culture and history. Kathmandu has been a crossroads for travelers for more than two thousand years and has been a trading point and a melting pot for cultures throughout the centuries. It remains a vibrant meeting point for people from all over the world, with the power to charm, excite and enthrall the visitor at every corner. From the sights, sounds and scents of old Kathmandu and the magic of its temples, markets and beautiful open spaces, to the green hills beyond and the serenity of the mountain trails, you will be enchanted by the country.